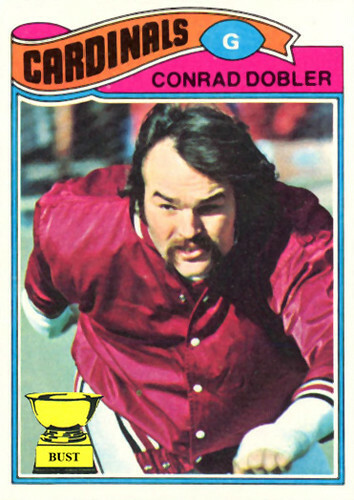 Conrad Dobler's musical train of thought from 9:45 to 9:47 a.m., Oct. 23, 1977: "Mister Trouble never hangs around when he hears this mighty sound: 'Here I come to save the day!' That means that Mighty Conrad's on his way. Yes sir, when there is a wrong to right, Mighty Conrad will join the fight. On the sea or on the land, he gets the situation well in hand. We're not worryin' at all. We're just listenin' for his call. 'Here I come to save the day!' That means that Mighty Conrad's on his way."